Specializing in philosophy for children and the history of philosophy, Wendy C. Turgeon is presently the chair of the Department of Philosophy at St. Joseph’s College, where she has been teaching courses since 1991. 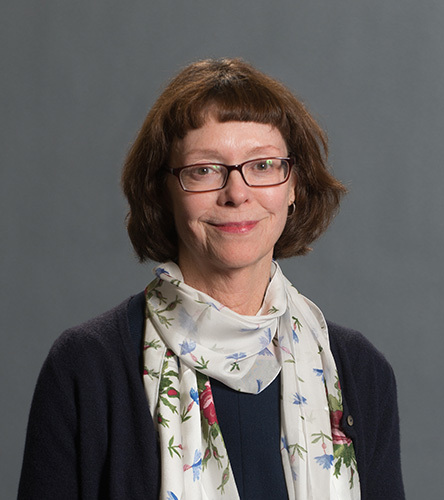 One of the leading proponents of the freshman honors program, Dr. Turgeon coordinates the program in addition to teaching one of its core courses. She has also incorporated global education into many of the philosophy classes at the College and is a passionate advocate for study abroad. Dr. Turgeon was also instrumental in creating the College’s minor in women’s studies. Dr. Turgeon has presented papers and workshops at conferences around the world and has published articles in magazines such as Philosophy Now and the International Journal for the Humanities. Her publications focus on the philosophy of childhood and bringing philosophy into pre-college education, with chapters in such books as Philosophy in Schools: An Introduction for Philosophers and Teachers (Routledge, 2014), Conflicts in Childhood (ID-Net Press, 2015) and Philosophy and Education (Cambridge Scholars Publishing, 2012). She is a member of the American Philosophical Association, North American Association for the Community of Inquiry, International Council for Philosophical Inquiry with Children and the Philosophical Learning and Teaching Organization (PLATO). “Moral Education for Young People”, Philosophy Now, March 2011. “The Place of ‘Philosophy’ in Preparing Teachers to teach Pre-College Philosophy”, Analytic Teaching and Philosophical Practice, vol. 32, Issue 2, November 2011. Chapter in Philosophy and Education, Jana Mohr Lone and Roberta Israeloff (editors). Cambridge Scholars Publishing, 2012. Chapter in Philosophy in Schools: An Introduction for Philosophers and Teachers edited by Sara Goering, Nicholas Shudak, and Thomas Wartenberg. Routledge, 2014.